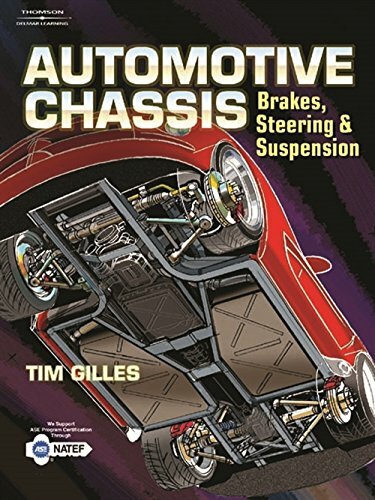 This user-friendly resource will thoroughly prepare readers to work in the important area of automotive technology known as chassis systems. It features accurate and up-to-date coverage of both brakes and suspension/steering in one complete volume. Technically precise drawings and photographs are prominently featured, supplying the visual support necessary for readers to grasp important principles and practices. The first half of the book is devoted to the latest information on brakes, including friction materials, drums, and rotors. The newest tire information is presented, followed by current suspension, steering, and wheel alignment material. The balance of the book is dedicated to front and rear wheel drive shafts and axles, and vibration analysis. Diagnosis and troubleshooting of worn and failed parts is emphasized throughout.